We get several calls a day asking how much a website will cost. As a custom web developer, the answer isn’t a simple one, especially when there are so many things to consider. We do our best to provide potential clients with a base price and range for what they are looking for but sometimes we don’t have time in that short phone call to explain the basics of web design costs. We’ve gathered up some thoughts on the matter and have detailed them below. We understand how confusing it can be when one company tells you they can build a website for $500 then another says $15,000. The first thing is to be sure that you are comparing apples to apples. There are many developers to choose from and not just in El Paso but everywhere. Some are great, some are bad, and some are in between. The goal is to make sure you are comparing the same features and functions from similarly-sized, equally-experienced and regionally located vendors. Another thing to consider is the company’s skill set. Reputable website development companies employ professionals who have many different skill sets such as client management, site architecture, strategy, design, programming, copywriting and search engine optimization (SEO). This assures that you receive top notch customer service and the very best in what they have to offer. $500 Website! No Contracts! No Commitment! We all know the adage – if it seems too good to be true, then it probably is. Bottom line? A quality website should not cost $500. In most cases, websites in this price range are templates with your logo, copy (text) and images plopped in it. Note that with templates, there is little to no flexibility in what you can do. And… if you really think about it, how does a company stay profitable offering websites for that much? It means that once your site is done, it’s done. No follow up, no updates, no changes. We would hope that your online presence means more to your company than $500 worth of work. Websites are and should be priced according to what a business needs, not advertised as a one-size fits all price. Don’t make the mistake of selecting a web design company based solely on price simply because more often than not, you end up paying more in the end. Bad SEO, poor coding, terrible user experience, no return on investment… those are only a few of a growing list of things we fix. If you’re interested in finding out what your project will cost, give us a call at (915) 351-8440 or fill out our contact form! 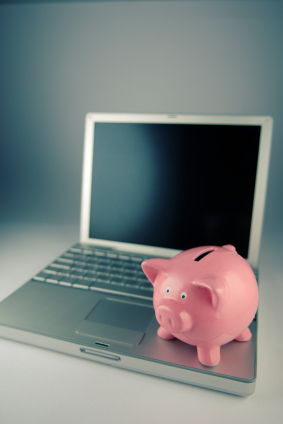 How Much Does A Small Business Website Cost in 2013? The article “THE COST OF A GOOD WEBSITE” discussion about the cost of website building is purely right.